Starts the file viewer (VIEW in TCC). The Edit/Debug button opens the Take Command batch debugger in a new TCC tab window. Opens a small dialog that lets you look up Windows and network error messages based on the integer value. You can enter hex input with a leading x or 0x. 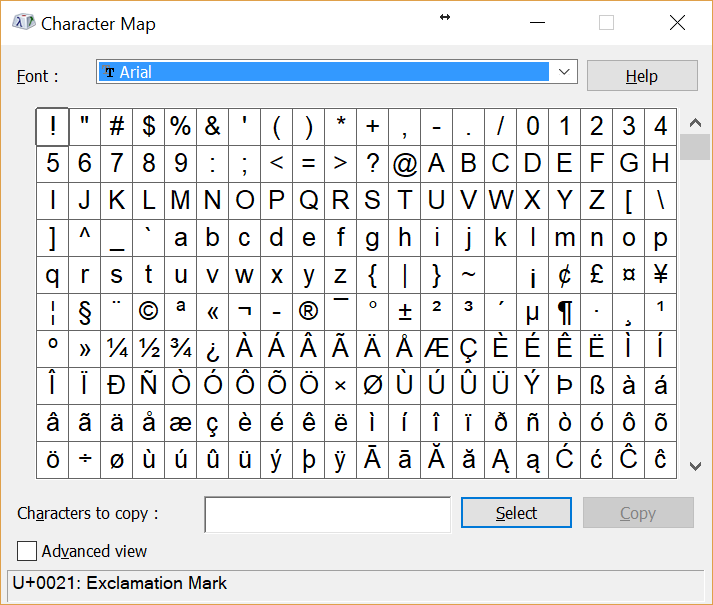 Opens the Windows Character Mapping dialog that lets you look up and copy characters for any font. Start or stop the macro recorder. The recorder will save all keyboard and mouse events for playback later. See Macro Recorder for more information and other ways to start recording or playback. Play a macro recorded previously with the Record Macro option.